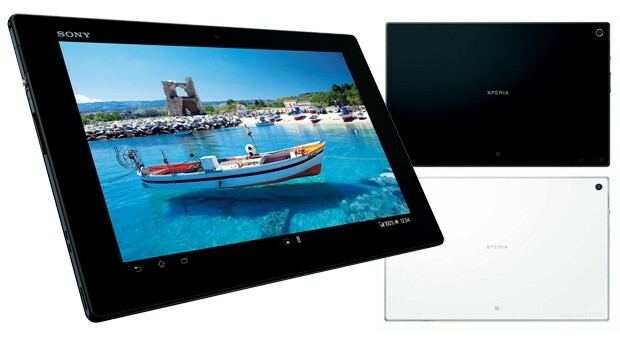 After Sony Xperia Z Phablet,Xperia Z Tablet Is On It's Way !! I think around 10 days back at CES'13,the Japanese Giant Sony released Xperia Z with which it entered the race of Phablets competing with Samsung,Htc and other brands.We have been getting Rumors about the Xperia Z tablets,and Sony has announced it officially Today in Japan.It had gained a lot of attention in CES and people were loving this Phone.According to one of my friends named Arpit who is a big Apple fan said "This is the only phone I would go instead of an iPhone". Getting into it's Specifications it has a a 10.1-inch 1,920 x 1,200 screen (with Mobile Bravia Engine 2)with a Qualcomm 1.5GHz quad-core APQ8064 processor, 2GB RAM, 32GB storage, an 8.1-megapixel Exmor R camera, NFC, LTE (MDM9215M radio).. It will be available in black and white colour options. Sony has blasted the market with launching smartphones one after another,It had even launched Xperia S tablets but was shut down due to some defects.We hope this time there are no hiccups. But the big question is Will it be able to compete with iPad ?? Let us see and hope for the best.